Comrade Ajaero is the General Secretary for the National Union of Electricity Employees (NUEE) and the Deputy President Nigeria Labor Congress (NLC). He is also the Titular African representative in the Global Union Federation Public Services International, which represents workers in 150 countries of the World. He holds a Bachelor’s Degree from the University of Nigeria, Nsukka and a Master’s Degree in Industrial & Labor Relations from University of Lagos. He went on to complete more training abroad in various prestigious institutions including Harvard Business School. 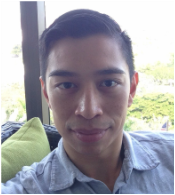 Dr. Rick Siriratsivawong M.D., is currently a Pulmonary Fellow at Memorial Sloan Kettering Cancer Center (MSKCC), one of the leading cancer treatment and research institutions in the United States and internationally. Prior to joining MSKCC, he completed his training in New York and is a certified Pediatrician and General Practitioner. Dr Siriratsivawong holds a B Sc in Biochemistry from Columbia University and an MD from Stony Brook University both in New York, U.S. Dr. Siriratsivawong is an active member of the community and has volunteered for many organizations. 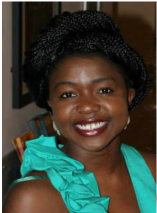 Ms. Ezeoke B.S., is an avid professional with over five years of marketing and sales experience. She has consistently had a remarkable result in her professional life which is showcased by her career trajectory. Kene Ezeoke is currently the Customer Success Manager at Silverline CRM in New York City and prior to this, she was with a leading global education consulting company in New York where she worked in client relations and technology management. Ms. Ezeoke attended Stony Brook University, in New York where she studied Biology and went on to obtain her Business fundamental certificatefrom the University of California, Los Angeles. During her time in college she was a tutor. According to her, she joined the ISCTD Board of Directors because she is excited to be part of an organization that supports investments in education and health particularly in developing countries, and look forward to contributing to its success in all its efforts. 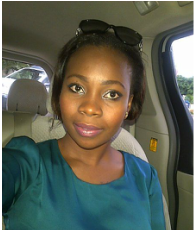 Tosin Akintola B.S., M.S, is a medical student at the University of Limerick, Ireland. She received her MSc. from Columbia University and BSc. from Stony Brook University. She is passionate about increasing access to quality education in science and technology for children in the developing world. Her vision is to provide access to scientific education and research for the advancement of the Girl Child. Sunday Ibekwe Okereke MBA, is the Managing Director of BESGOTEK International Limited, a Chemical and Equipment distribution company, which services various Educational and Research Institutions in Nigeria. Prior to this, he has worked as an assistant manager of sales and as a sales manager at Metronex Nig. Ltd. and NAAFCO Scientific Supplies Ltd respectively. Mr. Ibekwe has amassed over 30yrs of work experience. He is a member of various organizations within Nigeria including the Institute of Chartered Chemist Nigeria (ICCON), Chemical Society of Nigeria and the Nigeria Institute of Science Technology. Mr Ibekwe has a Higher National Diploma (HND) from the Federal Polytechnic Nekede, Owerri and a Masters in Business Administration (MBA) from the Nnamdi Azikiwe University, Awka both in Nigeria. 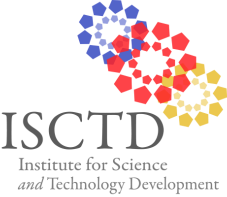 He has an avid interest in development and growth particularly in the field of Education and Health and is enthusiastic about ISCTD’s vision and platform and looks forward to being a support for the organization’s growth and goals. Obiageli Adaku B.Pharm, is a distinguished individual with a passion for health care. This has moved her to work with various health care organizations in Nigeria including the Central Hospital in Benin, Edo State, Nigeria and the community pharmacy for Westend Hospital in Warri Delta state, Nigeria. She hopes to positively influence the health care landscape using her experience and is working to be a change in both health care practice and policy in Nigeria and in other developing countries. She is currently working to improve her experience and knowledge in the Health Care field and intends to pursue graduate studies in Public Health and Policy. She holds Bachelor of Pharmacy from Igbinedion University Okada, Edo State. Chi Nwachi B.S., M.S. is the Managing Director of ISCTD HEDProject Nigeria where he oversees the implementation of the Nigerian projects and programs for the organization. Prior to this position, he held several positions and has consulted for several years in various globally renowned companies including as a Senior Specialist in Compliance at Genzyme corporation/Sanofi Aventis, in Boston, Massachusetts. He also had several years as a volunteer in various organizations both in the U.S. and in Nigeria. Chi Nwachi holds a dual B.Sc in Biochemistry and in Health Science from Stony Brook University in New York and a M.Sc in Regulatory Affairs from Northeastern University in Boston. Serame Castillo, B.A., M.A. 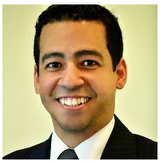 Mr. Castillo is currently a Partner at GDC Consulting in Washington, D.C. He spent the last 5 years providing new operations perspectives to companies and government agencies. He worked in Governance Operations at the International Monetary Fund and also worked for a firm to provide Fortune 500 companies due diligence reports used to assess business risks. He is also a community advocate who works with DC based Latin-professional organizations and has volunteered his time in multiple Spanish-speaking countries assisting non-profit organizations. Mr. Castillo received his bachelor’s from Boston University in International Relations with a minor in Business Administration and Management. He received his master’s degree from The George Washington University in International Trade and Investment Policy with a concentration in International Business.